The study of epigenetics is not only fascinating from a scientific perspective, it's something that we all should be familiar with. And it's a game changer when it comes to reducing risk of cancer, healing from cancer treatment, and preventing a cancer recurrence. You won't want to miss this show, especially if you are a "science geek" like we are! 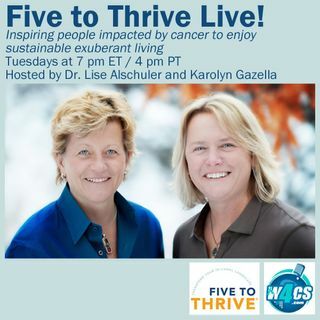 This show is broadcast live on Tuesday's at 7PM ET on W4CS – The Cancer Support Network (www.w4cs.com) part of Talk ... See More 4 Radio (http://www.talk4radio.com/) on the Talk 4 Media Network (http://www.talk4media.com/).